Having had a close game away at Wallingford, which we lost, the expectation was that it would be another close match at Riverwoods. At halftime, with Marlow having made the best of a strong favourable south westerly wind, I dont think even the most optimistic Marlow supporter would have predicted the final result. Although we had the early advantage Wallingford put us under pressure, especially in terms of territory, for the next 20 minutes with Daniel Hostetler coming to the rescue on several occasions in defence. During that period we had one good attacking opportunity after Nick Carvey made a long clearing kick which the Wallingford Full Back was unable to control before the ball went into touch. However, our throw in wasn't straight and the opportunity went to waste. Wallingford were keen to get something on the board before half time. Even at this point, with their wind advantage to come in the 2nd half, it didn't feel like we were far enough in front, and they knew it. Although Wallingford kept pressing our good defence managed to keep them at bay and restricted then to a single penalty kick, which they missed. We managed to get one more Try before the half time whistle. Sam Hindley broke down the left wing before being tackled. Wallingford were penalised for not rolling away, so Jamie Maddern kicked for touch. The pack caught the ball cleanly and forced their way over the line. A good kick from Jamie added the conversion. 32-0. Although this looked like a comfortable cushion I dont think any Marlow supporter thought we were already "home and hosed". With the wind in their favour in the 2nd half, a couple of quick Wallingford scores, and we could start to panic and put ourselves under pressure. The obvious solution was for us to show some good "game management", but that's not always been our strong point over the last couple of seasons. 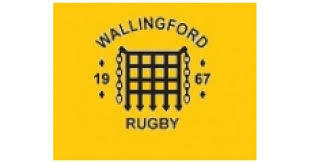 This score signalled a difficult period for Wallingford when they lost two players to yellow cards. The 2nd being a tip tackle on Nick Carvey on the Wallingford 25m line. It really sealed their fate as the loss of the 2 players, for a period, and an untimely injury to a forward meant they had a number of players out of position, and it was reflected in their play. Anthony Lawless came on to replace William Sones, with a fresh pair of legs. The visitors stilled haboured the hope that they could get a Try Bonus point out of the game, but that was never to be as we had 3 more Tries before the final whistle. 1 Chris Clarke 2 Daniel Hostetler 3 Eddy Smyth 4 Ben Smith 5 Jack Henderson 6 Ian Thomson 7 Will Reynolds 8 Max Roberts 9 William Sones 10 Jamie Maddern 11 Cameron Denton 12 Charlie Cotton 13 George Buckle 14 Sam Hindley 15 Nick Carvey.